Youth are often told they are the stewards of tomorrow, but WRV believes there’s no point in waiting until then. 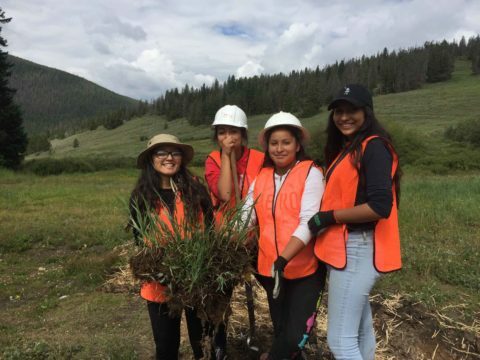 Our youth and family programs are focused on giving young people the access, motivation, and skills they need to be environmental leaders today. Nearly 5,000 young people have engaged so far! Youth experiences in nature alongside a trusted adult are a powerful predictor of a future environmental ethic. WRV encourages youth participation in many of our projects. Many are family-friendly, meaning children under the age of 12 are welcome to attend along with a parent or guardian and actively participate in restoration efforts. In addition, WRV offers several projects each year specifically focused on providing unique opportunities for families with young children to learn, work, and have fun together. These projects are listed as “Family Projects” and involve age-appropriate work geared towards younger audiences, extra supervision and support, and educational activities led by experienced educators and naturalists. To find family-friendly projects, visit our project schedule here, and look for projects with the “Family Friendly” tag. More complex and difficult projects are often limited to older children and adults; however, we are always willing to work with parents whenever possible. Please call our office at (303) 543-1411 to discuss how we can accommodate the needs of your family. 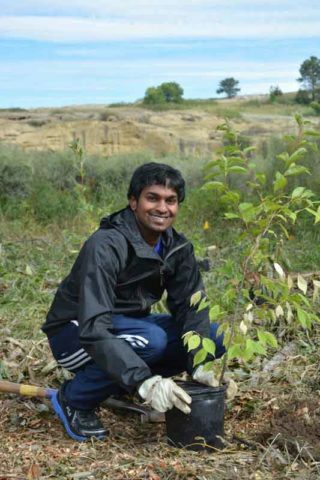 WRV stewardship projects are a great way for school groups or youth organizations to explore our area, get their hands dirty, and make a difference. Whether you’re looking for hands-on environmental education, a meaningful service opportunity, or just a chance to get outside, WRV can work with you to meet your needs. Each year, WRV provides field-based learning and service opportunities for hundreds of young people. We focus on meeting both the objectives of youth partners and the real needs of the public land agencies with whom we partner. If you’re interested in scheduling a youth project with WRV, please fill out our interest form or email our Youth and Inclusiveness Program Director, Rachel Brett at rachel@wlrv.org. To learn more about the year-long WYLD Program, click here. To find out about leadership trainings open to youth and adults, visit our trainings page. Ready to boss around adults and make an impact? Email Rachel Brett, Youth and Inclusiveness Director to learn more about getting involved. Did you know? Kids today spend less than 30 minutes a day outside but over seven hours in front of a screen. 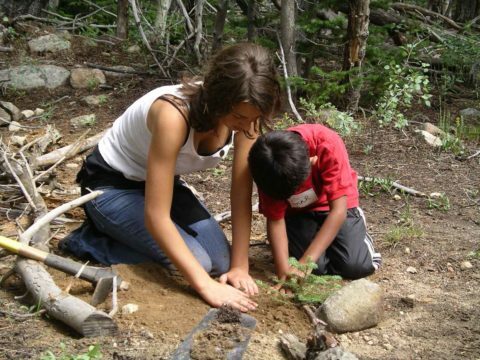 WRV provides safe, meaningful, and fun opportunities for youth to engage with nature.